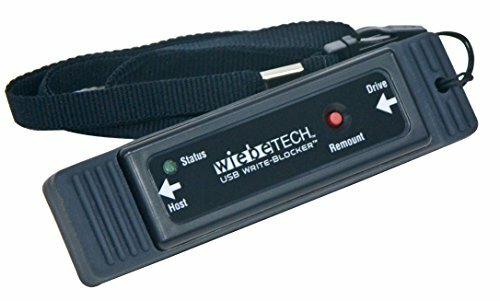 Lawyers, forensics investigators, and corporate IT staff who want to view and image USB mass storage devices, such as mobile phones and cameras, rely upon the CRU WiebeTech USB WriteBlocker to protect data. The compact USB WriteBlocker connects to USB storage devices and protects their contents during an investigation. To use, simply connect the WriteBlocker to the suspect device. The USB WriteBlocker connects to most USB storage devices: USB thumb drives, digital cameras, cell phones, or most anything with a USB connection. Use the included Forensic Software Utility to display information about connected devices and enable you to save the information in common text formats. If you have any questions about this product by CRU, contact us by completing and submitting the form below. If you are looking for a specif part number, please include it with your message.